A dental veneer is a thin layer of restorative material placed over a tooth surface, used to improve the aesthetics of a tooth, and to protect a patient’s damaged tooth surface. These shells are bonded to the front of the teeth changing their color, shape, size, or length. Dental veneers are also referred to as porcelain veneers or dental porcelain laminate. There are two main types of material used to fabricate a veneer, and they are resin composite veneers and dental porcelain. Resin veneers may be directly placed while a porcelain veneer may only be indirectly fabricated. These can also be built-up in the mouth or fabricated by a dental technician in a laboratory, and later bonded to the tooth. Porcelain veneers, on the other hand, may only be manufactured, though these are better at stain resistance and look best as they reflect real light in an excellent way and give a more natural look than resin composite veneers. · Presence of large resin fillings. · Chipped and broken teeth. · Stains from root canal treatment. · Stains from excessive fluoride. Dentists understand that the first step in designing a whole new smile is by listening to the patient. The dentist wants some time to fully understand the patient’s needs, on how they feel about the smile that they have and the smile that they want, the patient’s personality, and especially their budget for the procedure. Diagnosis and planning will entail with the dentist entirely understanding the patient’s needs. The patient, in turn must fully disclose their wants and their needs for the procedure. The dentist will need to examine the patient’s teeth to ensure that the proposed dental veneers are perfect for their look. X-rays of the affected gum and tooth area can be taken as a precaution and impressions could be made of the patient’s mouth and teeth. The dentist will also discuss with the patient the important aspects of the veneers, especially its pros and cons. 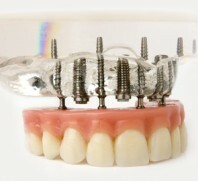 The primary technique for installing dental veneers involves tooth preparation. The dentist will remove a small part of the tooth exterior, approximately identical to the thickness of the veneer to be attached to the tooth, or about 1/2 of a millimeter. The dentist will always use a local anesthetic to numb the tooth and gum area before starting to remove a minute layer of the tooth exterior. Then the dentist takes an impression of the teeth. This impression is used by the laboratory technician to create the dental veneers. The dental technician usually takes 1 to 2 weeks to make the veneers and send it back to the dentist. Temporary dental veneers can be used either on the recommendation of the dentist or if the patient requests it. A lot of people have small teeth resulting in spaces that aren’t’t easy to close by orthodontics. Furthermore, some others have worn the edges of their teeth early in life that they have a prematurely aged appearance, while others may have teeth that may appear crooked. Dental veneers can solve these problems by closing the spaces, lengthening the teeth that have been shortened by wear, provide a uniform color, shape, and symmetry, and make the teeth appear straight. · Dental veneers deliver a natural tooth look. · The tissues on the gum stand porcelain well. · Dental veneers are resistant to stain. · They can make dark teeth look whiter. · Veneers are easier to make than dental crowns. Usually cannot be repaired once they crack or chip. Veneers may not match perfectly, the color of the patient’s other teeth exactly. The veneer’s color cannot be altered once it’s in place. If one plans on whitening their teeth, they need to do so before getting veneers. Dental veneers can fall off. The patient must avoid not biting their nails, chewing on pencils, or other hard objects, or otherwise putting excessive pressure on your teeth. Individuals who clench and grind their teeth are poor candidates for porcelain veneers, as these activities can affect the veneers to crack or chip. Veneers normally can last a patient anywhere from 5 to 10 years, after which the veneers may need to be substituted or replaced. However, if you continue to practice good oral hygiene, like brushing and flossing, the veneers can last longer. Though porcelain veneers are resistant to stains, your dentist will advise you to avoid foods and drinks that can stain your teeth. Veneers are a great solution to many teeth problems. Veneers are perfect for people that want to alter the shape of a tooth, but who do not want to get a dental crown. The costs of a veneer can vary depending on where you live, and the extent of the procedure. Dental veneers can cost anywhere between $350 to $1,350 per tooth, so make sure you check with your insurance company as dental veneers are not usually covered by insurance. Before, the only way to correct dental imperfections in one’s teeth was to cover the tooth with a crown, but now there are more options: porcelain veneers, crown or by composite resin bonding or like thru orthodontics or cosmetic contouring. Non-permanent dental veneers are also available. Between a crown and a dental veneer, it is one’s choice based on a dental professional’s recommendation.